The UPX research group ( Ultrafast sources of Particles and X rays) focusses on the study of fundamental aspects of laser plasma interaction in the relativistic regime, on the development of laser plasma accelerators and particle beams, on the development of ultrafast x-ray sources from intense femtosecond lasers, and on the application of these secondary sources such as high-resolution imaging in time and space of the matter. This is a long-standing activity at LOA that has started more than 20 years ago. The group is a recognized as a world leader in these fields with many pioneering results obtained all along the years. UPX covers every aspects of the generation of ultrafast particle and X-ray sources from the understanding of fundamental phenomena to the demonstration of new concepts of sources based on laser-produced plasmas. During the period 2013-2018, the group has published 117 peer reviewed articles and 6 book chapters. They presented 109 invited talks (17 plenary), 56 oral presentations. There have been 24 scientific awards, 5 Ph.D. defenses, 4 Patents. Shaping of laser plasma accelerated electrons for light sources, T. Andre, I. 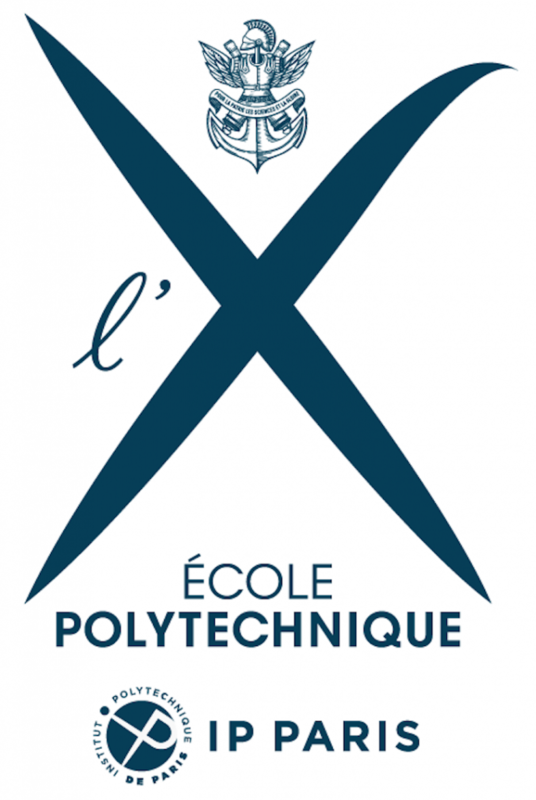 A. Andriyash, A. Loulergue, M. Labat, E. Roussel, A. Ghaith, M. Khojoyan, Thaury, M. Valleau, F. Briquez, F. Marteau, K. Tavakoli, P. N’Gotta, Y. Dietrich, G. Lambert, V. Malka, C. Benabderrahmane, J. Veteran, L. Chapuis, T. El Ajjouri, M. Sebdaoui, N. Hubert, O. Marcouille, P. Berteaud, N. Leclercq, M. El Ajjouri, P. Rommeluere, F. Bouvet, J. -P. Duval, C. Kitegi, F. Blache, B. Mahieu, S. Corde, J. Gautier, K. Ta Phuoc, J. P. Goddet, A. Lestrade, C. Herbeaux, C. Evain, C. Szwaj, S. Bielawski, A. Tafzi, P. Rousseau, S. Smartsev, F. Polack, D. Dennetiere, C. Bourassin-Bouchet, C. De Oliveira, and M.-E. Couprie, Nature Communications 9, 1334 (2018). High-brilliance betatron gamma-ray source powered by laser-accelerated electrons, Ferri, S. Corde, A. Döpp, A. Lifschitz, A. Doche, C. Thaury, K. Ta Phuoc, B. Mahieu, I. Andriyash, V. Malka, and X. Davoine, Phys. Rev. Lett. 120(25) (2018). Effect of experimental laser imperfections on laser wakefield acceleration and betatron source, Ferri, X. Davoine, S. Fourmaux, J. C. Kieffer, S. Corde, K. Ta Phuoc, and A. Lifschitz, Sci. Rep. 6, 27846 (2016). High-field plasma acceleration in a high-ionization-potential gas, Corde, E. Adli, J. M. Allen, W. An, C. I. Clarke, B. Clausse, C. E. Clayton, J. P. Delahaye, J. Frederico, S. Gessner, S. Z. Green, M. J. Hogan, C. Joshi, M. Litos, W. Lu, K. A. Marsh, W. B. Mori, N. Vafaei-Najafabadi, D. Walz, and V. Yakimenko, Nat. Commun. 7, 11898 (2016). Multi-gigaelectronvolt acceleration of positrons in a self-loaded plasma wakefield, Corde, E. Adli, J. M. Allen, W. An, C. I. Clarke, C. E. Clayton, J. P. Delahaye, J. Frederico, S. Gessner, S. Z. 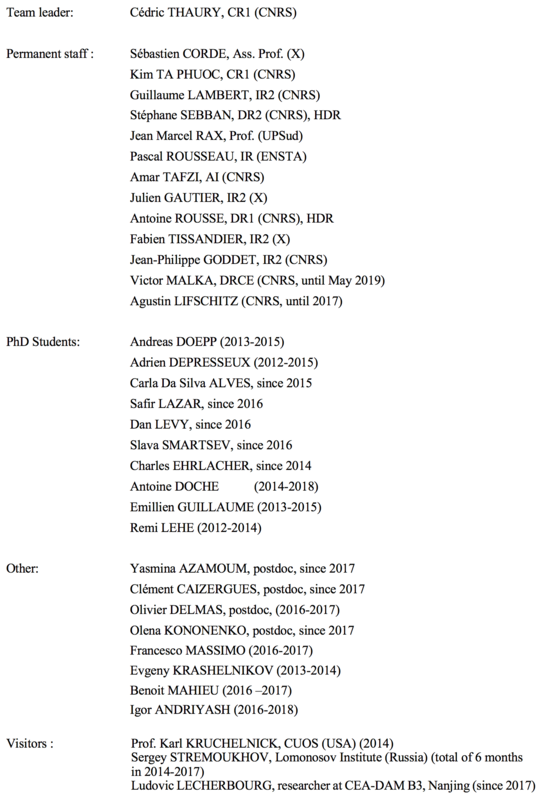 Green, M. J. Hogan, C. Joshi, N. Lipkowitz, M. Litos, W. Lu, K. A. Marsh, W. B. Mori, M. Schmeltz, N. Vafaei-Najafabadi, D. Walz, V. Yakimenko, and G. Yocky,, Nature 524, 442 (2015). Femtosecond x rays from laser-plasma accelerators, Corde, K. Ta Phuoc, A. Beck, G. Lambert, R. Fitour, E. Lefebvre, V. Malka, and A. Rousse, Rev. Mod. Phys. 85, 1 (2013). Angular momentum evolution in laser-plasma accelerators, Thaury, E. Guillaume, S. Corde, R. Lehe, M. Le Bouteiller, K. Ta Phuoc, X. Davoine, J.-M. Rax, A. Rousse, and V. Malka, Phys. Rev. Lett. 111, 135002 (2013). The research on laser-plasma acceleration of electrons followed two main paths, aiming at improving the beam properties, and coupling it with an undulator to generate Free-Electron-Laser (FEL) radiation, respectively. We first worked on the injection of electrons into the accelerator. This is a critical step, since most of the final properties of the beam are determined during it. We notably demonstrated in simulation a new injection mechanism which allows to produce electron beams gathering a high-charge and a high beam-quality, well beyond the state of the art. On the experimental side, we studied thoroughly two injection mechanisms, ‘density transition injection’ and ‘ionization injection’. We then proposed and demonstrated a new injection technique which gathers the advantages of the two previous ones, that is a good overall beam quality and a high stability. From these experiments we also gained experience in the generation of sharp density transitions. We use it, with another setup to increase the beam energy, using the rephasing technique which consists in pushing back the electron beam to an accelerating region when it reaches a decelerating one. Our experiment was the first demonstration of this technique. It led to a 60% increase of the beam energy. Finally, we introduced the principle of the laser-plasma lens and showed that this device can be used to reduce the electron beam divergence by a factor of almost three. This last result is of particular importance for applications requiring beam transport; the divergence reduction should actually be sufficient to avoid transverse emittance growth in quadrupoles triplet, for 3% energy spread electron beams (the emittance growth is due to the combination of large divergence and energy spread). This last study was mainly driven by a groundbreaking application: the development of a FEL based on a laser-plasma accelerator. Such an achievement will allow to drastically downsize these facilities, and hence to open their access to a wider community. The transport and the shaping of the electron beam was demonstrated in 2018 and we succeeded in producing high quality synchrotron radiation. Experimental setup: laser hutch (grey), gas jet (cyan), permanent magnet based quadrupoles (QUAPEVAs) (light grey), electro-magnet dipoles (red) with an adjustable slit placed at the center (pink), electro-magnet quadrupoles (blue), undulator (purple), dipole dump(red), UV spectrometer (light grey). The main perspectives on electron acceleration experiments would be driven by the starting of the Apollon multi-PW facility in 2019. For unlocking the full potential of this facility, we are developing in Salle Jaune an all-optical plasma waveguide. It will be used to guide the laser beam over several centimeters which is mandatory to get multi-GeV electron beam energies. We will also develop new injection techniques which are compatible with wave-guiding and PW system. The implementation of these devices on the Apollon facility will open the way to well-controlled QED experiments, such as the creation of pair through photon-gamma or gamma-gamma collisions, which is a major challenge for the laser-plasma community and beyond. In a way analogous to laser-plasma accelerators (also called Laser WakeField Accelerators, LWFA), waves of electron density in the plasma can also be driven by the passage of a relativistic beam of charged particles, the “driver”. For very dense electron beam drivers, the plasma wave takes the form of an ion cavity (see figure), in the so-called blow-out or bubble regime. This ion cavity has ideal properties to accelerate the main electron beam, the “trailing” electron bunch. – Based on experiments conducted on the state-of-the-art conventional accelerator facilities FACET and FACET-II, the group aims at understanding the physics of beam-plasma interaction and at the experimental realization of a plasma accelerator module that would be capable of accelerating a distinct bunch of particles, with high energy gain, low energy spread, high energy efficiency, and preserved emittance. Among the many recent achievements, one can cite the 9 GeV acceleration of electron beam in a PWFA (PPCF 58, 034017, 2016), the demonstration of high-field acceleration and electron-beam self-focusing (Nature Communications 7, 11898, 2016), the multi-GeV acceleration of positrons in a self-loaded PWFA (Nature 524, 442, 2015) and first acceleration of a distinct bunch of positrons in a plasma (Sci. Rep. 7, 141180, 2017), and the first measurements of transverse wakefields in hollow plasma channels (PRL 120, 124802, 2018). This research is conducted as part of the international E-200 collaboration, including in particular SLAC and UCLA in the US. – Using a Laser WakeField Accelerator (LWFA), one can actually produce electron beams whose properties reach the very demanding requirements to drive a PWFA. Such hybrid wakefield accelerators, where a LWFA electron beam drives a PWFA section, open the opportunity to study PWFA physics using in-house compact laser facilities and to leverage the advantages of PWFA, for example for the generation of ultra-bright particle beams. Recent achievements include the observation of plasma lensing and acceleration from the PWFA section, as well as the imaging of the PWFA plasma wave. This research on hybrid LWFA-PWFA is conducted in collaboration with HZDR and LMU in Germany. In addition to these experimental activities, the group is also contributing in the theoretical and advanced numerical modeling of beam-plasma interaction. This activity includes the topic of hybrid LWFA-PWFA, the acceleration of positrons in plasmas as well as electromagnetic plasma instabilities developing during the interaction between laser, particle beam and plasma. Recently, a new concept that leverages hybrid LWFA-PWFA for the generation of ultra-bright betatron gamma-ray radiation was demonstrated numerically (PRL 120, 254802, 2018). This work is conducted in collaboration with CEA in France. HHG source developments (High Harmonics Generation) for FEL seeding activities has shown great progress. A new HHG source based on the mix of two colors (fundamental laser wavelength and his second harmonic) with two linear and crossed polarizations was developed. Collaboration with Lomonossov Institute of Moscou successfully explain the main features of this new sources. The wavefront and the spatial profiles qualities were improved. The degree of polarization, the polarization axis, and the degree of ellipticity, were measured, in two different spectral ranges VUV (260 nm to 100 nm) with low harmonics orders, and in XUV (60 nm to 20 nm) with high order harmonics. The first range has been chosen to perform experiments in order to demonstrate the amplification of coherent light in a plasma-based free-electron lasers, with the collaboration of the synchrotron Soleil in France. 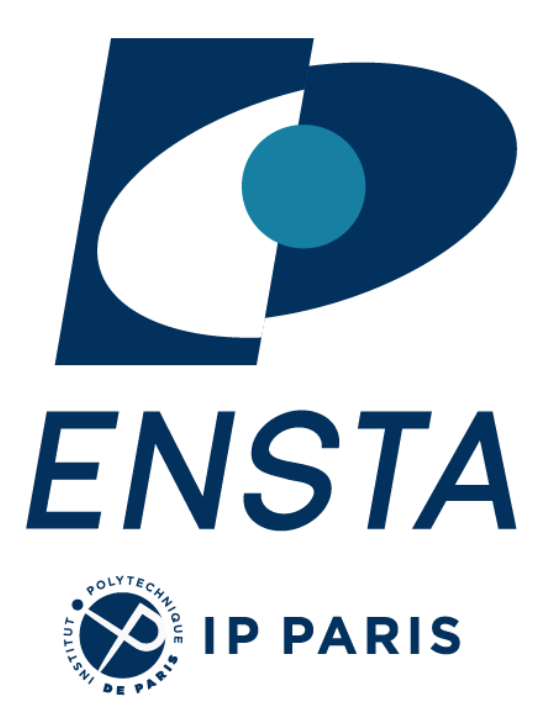 The second one was dedicated to demagnetization studies of metallic layers, rare earth and transition metals, with a strong collaboration with Paris 6 university LCPMR laboratory. Pioneer work on demagnetization through different techniques such as magnetic diffusion and circular dichroism were achieved with recently the measurement of the time evolution of magnetization state in the sub 30 fs time scale using the Faraday effect. Furthermore, an XUV polarizer/analyzer system for XUV to measure the polarization properties of the FERMi at Elletra Free electron laser in Italy has been realized. Another variation of the system was used to measure the polarization properties of a plasma-based X-ray laser at 32 nm. The research on Femtosecond x-ray radiation sources based on laser plasma accelerators has now shown considerable progresses during the past 5 years. We essentially worked on the Betatron source. Since its discovery in 2004 at LOA, the source has been widely developed and characterized. The flux and energy of the source were improved using multi 100 TW class laser. However, the efficiency of the mechanism was never improved and, even more importantly, the source remained unstable and unreliable for applications like time-resolved studies. In the past few years, we demonstrated methods that considerably improve the stability and the efficiency of a Betatron radiation source. In addition, we performed the first femtosecond x-ray absorption experiment using Betatron radiation. In this highly competitive field of research we studied the femtosecond structural dynamic of a copper sample brought in the Warm Dense Matter regime. We briefly discuss these progresses below. – Improvement of the stability of the Betatron source: All the features of the Betatron radiation depend on the electrons orbits. 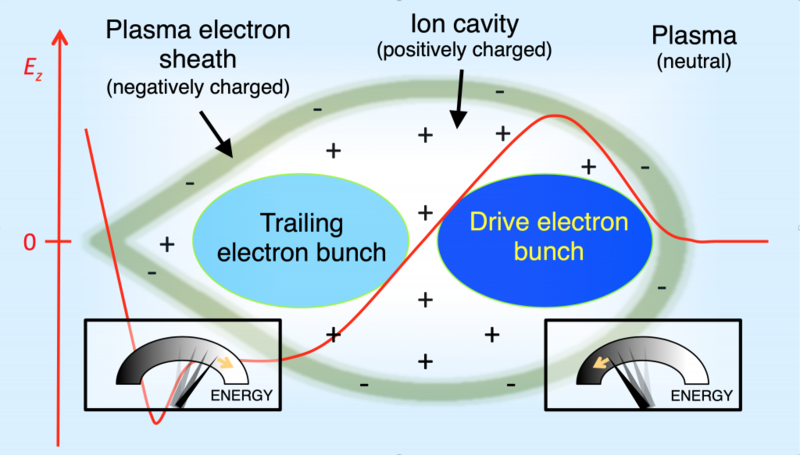 Using ionization-induced injection in a gas mixture, the orbits of the relativistic electrons emitting the radiation become reproducible and controlled. As a result we observed that both the signal and beam profile fluctuations are significantly reduced and that the beam pointing varies by less than a tenth of the beam divergence. In addition, the radiation becomes polarized. The polarization ratio reaches 80%, and its axis follows the laser polarization. The Figure below represents example of consecutive x-ray beam profiles obtained with transverse (as used so far) and ionization injection. X-ray profiles for different gas compositions. (a) Angular profile of the X-ray beam for four consecutive shots in pure helium and in the gas mixture (He+1% N2). The color scale is the same for all images. – Improvement of the efficiency of the Betatron source: The key for the improvement of Betatron source efficiency relies in the control of the electron orbits. The efficiency of the Betatron source increase if the energy of the electron is increased and the oscillation period is decreased. However, in a laser plasma accelerator, these parameters are linked so that the electron energy increases together with the oscillation period. We explored several methods to dissociate acceleration and wiggling. We demonstrated that decoupling is possible when two gas jets are used. In the first jet, the gas density is optimized to produce energetic electrons. In the second jet, the density is much higher to produce radiation. This method allows to increase the flux by a factor up to 3. In 2018, we demonstrated that an upward density ramp is much more efficient. The Betatron radiation signal above 2 keV was increased by a factor up to 20. Theses novel results are being analyzed. We anticipate a broad impact of the source, as its remarkable performance opens the way for new applications. – Femtosecond x-ray absorption spectroscopy: In 2017 we gathered a team of scientists with complementary expertise from LOA, CEA and CELIA and we successfully performed the first femtosecond XANES (X-ray Absorption Near-Edge Spectroscopy) experiment. We measured the femtosecond dynamic of the Copper L-edge brought to Warm Dense Matter (WDM) conditions. A clear spectral feature (pre-edge) was observed as a result of the ultrafast electron temperature increase. The temporal resolution was evaluated to 75 ± 25 fs, mainly limited by the geometry of such proof-of-principle experiment. This first experiment demonstrates the great potential of the Betatron source and open unprecedented possibilities for femtosecond X-ray absorption. Our project aims at developing this novel class of experiments. Overall, this scientific activity has been productive and has gone a long way on the path that began 15 years ago. At that time, a great deal of confusion was lying over the performances and possibilities offered by laser-driven SXRL: although it was a laser, the SXRL lasers at that time were not spatially coherent and therefore not efficiently focusable and usable in imaging, one of the more important application. The injection of high order harmonics, a fully coherent source, and its amplification made it possible to overcome this limit. It nevertheless took many years at the international level to be accepted as a must to operate plasma based XUV lasers. The work carried out in the UPX team allowed to show the unique capabilities of this mechanism: production of pulses of 100 fs (against a few ps before), full coherence having an excellent wavefront, polarization tuning (linear and circular). A final step would have been to transpose the so-called CPA technique into XUV rays as we proposed in 2012 but already excellent performances were predicted using only two amplifying plasmas. It should be noted that the technique of XUV-CPA was successfully used in a free electron laser experiment (FERMI @ ELETTRA) to which we collaborated. Here are highlights of our latest developments. We have successfully implemented a waveguide by focusing with an axicon lens a sequence of “ignitor” (130 mJ, 30 fs) and ”heater” pulses (690 mJ, 600 ps) delayed by 600 ps. The electron density has been measured retrieving the phase change imparted by the plasma with a Mach-Zehnder interferometer. At the highest reported density, appropriate conditions for guiding in terms of size and transverse density gradient were granted for the pump pulse focused about 1.55 ns after the arrival of the ”ignitor”. When injecting a 5×1018W.cm-2 laser pulse into the waveguide, the electronic density growth up to more than 1020cm-3. The transmitted beam is multimode and contains about 50% of the initial energy after 5 mm of propagation and decrease down to 20% after 20 mm when krypton is used. In parallel to the experimental measurements, intensive numerical calculations using hydrodynamic and particle-in-cell codes has been performed to understand and predict the creation and posterior evolution of the waveguide. We investigated the influence of electron density on the temporal properties of the 32.8 nm lasing emission. By seeding the SXRL amplifier using the 25th harmonic of the infrared driving laser we measured the temporal gain dynamic. As expected by our numerical simulations, the gain duration monotonically decreased from 7 ps to an unprecedented8 shortness of 450 fs FWHM as the amplification peak rose from 150 to 1,200 with an increase of the plasma density from 3 × 1018cm−3up to 1.2 × 1020cm−3. From our Maxwell–Bloch modelling, the inferred SXRL pulse duration varies from about 6.4 ± 0.3 ps for ne=3× 1018cm−3down to about 120 fs for ne= 1.2 × 1020 cm−3, which thus breaks the decade-long picosecond barrier of plasma-based SXRL. In the soft x-ray range, the availability of coherent circularly polarized light has been limited so far to few large-scale facilities and more recently to high-order harmonic generation. For generating circularly polarized SXRL beams, we have converted the HHG seed polarization from linear to circular using a grazing incidence four-reflector phase shifter and a λ/2 wave plate. The polarized seed is then injected and amplified into the plasma amplifier. Using this technique, we were able to demonstrate that we are able to control the polarization of o the seeded SXRL (from linear to circular) and compensate the losses introduced by the phase shifter (1% transmission) after amplification.